If you continue browsing our website, you accept these cookies. Remote employees can be a powerful addition to the workforce in today’s technology-focused world. Not only are flexible workers more productive, but they’re also more efficient, less prone to stress, and easier to retain thanks to increases in morale. Get the full report on how digital transformation is making contact centres unified, collaborative, and intelligent. 1. Embrace a cloud contact centre solution. Cloud technology is the most natural and flexible way to support a remote workforce. When your contact centre tools are hosted in the cloud, you ensure that your entire team gets access to the same tools and experiences, regardless of where they might be working from. 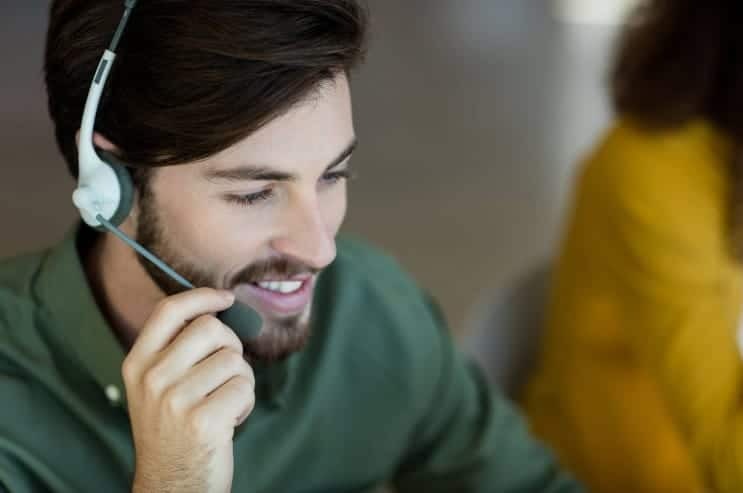 The consistency and unity provided by a cloud contact centre solution mean that everyone can work in cohesion with fewer risks of technical issues. 2. Provide plenty of training. In a standard contact centre environment, managers provide regular in-house training to optimise the performance of employees. If you’re working remotely, you can still deliver fantastic training programs, the only difference is that you need to take an online approach. Modern collaboration tools can be a fantastic way to ensure that each agent has access to support and guidance when they need it most, irrespective of their location. With the right resources, you can give your employees real-time access to experienced agents, supervisors, and other essential information within a contact centre data hub. Perhaps one of the biggest concerns that hold contact centre managers back from considering remote employees involves figuring out how to maximise employee performance and remain in control of what is happening in the contact centre. Here again, technology can help. Workforce management and optimisation tools can help to keep everyone on the same page with better performance tracking, coaching, easier scheduling and enhanced quality management. Finally, it’s important to make sure that you have full visibility into the performance and engagement of your remote workforce. While workforce optimisation and management tools can help with this, you’ll need to ensure that the tools you leverage provide plenty of access to reporting and analytical solutions. The ability to track the performance of agents and access key service metrics can be crucial to maintaining the cohesion and efficiency of your team. Check that your system has options for speech and IVR analytics to go even deeper in your analysis. It’s also worth investing in real-time analytics to ensure that supervisors can track the real-time interactions of their employees, regardless of where agents are located. Remote agents can offer a host of benefits to the average contact centre environment. However, managers and supervisors need to be sure that they’re leveraging their team properly if they want to get great results. The good news is that with the right technology, a remote team can deliver exceptional customer experiences and consistent profits. Need tips to be productive while working remotely? Click here! AuthorShaun Spivak is the Head of Customer Care for RingCentral in EMEA. He has been responsible for developing the Customer Care Organisation for scaling through EMEA through hiring, managing and developing a team with varying roles and skillsets across Professional Services, Implementation and deployment, number porting, training, and support. Shaun is based in RingCentral’s London office. Bring the power of AI to your business communications with RingCentral cloud communications solution. How Does A Phone System in the Cloud Work? 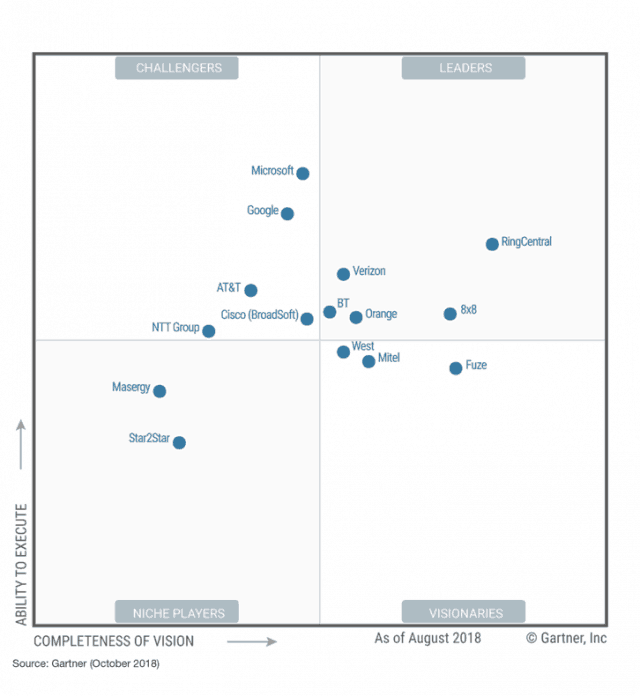 A Gartner UCaaS Magic Quadrant Leader. Again. © 1999-2018 RingCentral, Inc. All rights reserved.